How Much Do Ceramic Braces Cost in 2018? Home / Articles / How Much Do Ceramic Braces Cost in 2018? Braces: They are incredibly helpful tools, but they can be quite expensive. If you end up needing to have braces, you have quite a few options available to you. Your orthodontist will give you the option of traditional metal braces, ceramic braces, lingual braces, or invisible braces (i.e., Invisalign). While all of the different options of braces have varied costs, in this article we’re going to only touch on the cost of ceramic braces. Ceramic braces are a lot more discreet than traditional metal braces. While ceramic braces are designed to look very similar to traditional metal braces, they are made out of transparent or tooth-colored-ceramic brackets. This makes it so that the braces blend in with the color of your teeth. You can even get the wire to be transparent or tooth-colored as well. Ceramic braces are recommended for patients who don’t have severe misalignment – your dentist will let you know if you are a candidate for ceramic braces or if they wouldn’t be worth the money. If your dentist says that you have severe misalignment or extreme overcrowding of your teeth, then you might want to go with traditional braces. What’s great about ceramic braces is that they are invisible, and you might find that your teeth align a lot quicker than with other braces. However, you have to be aware that they are more expensive and if not cared for properly, can stain quite easily.In fact, just drinking coffee, tea, or red wine can stain your ceramic braces – making it so that you might have to end up spending even more money have the stained brackets changed out. Ceramic braces usually cost about $4,000 – 8,000 total and are typically more expensive than traditional braces – traditional braces cost around $3,000 – $7,000. This is because the average time it takes for your teeth to become straight is a bit longer using ceramic braces than traditional ones. 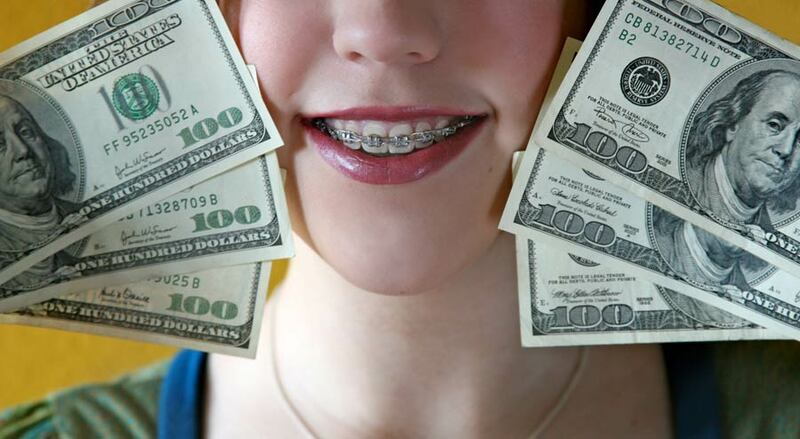 There are also costs to having braces that aren’t monetary as well. For instance, braces can be painful. Having your teeth be pushed into straight alignment can be incredibly painful, plus you can cut your gums and mouth on the brackets that are connected to your teeth. Another thing that you should consider is that the treatment time for braces can be incredibly long: the average time for braces to straighten your teeth is about 1 to 2 years. However, the length of time for the treatment to work can depend on how your teeth look before the treatment (i.e., how crooked your teeth are). If it comes down to it, your dentist will let you know how long you’re going to have to wear your braces. 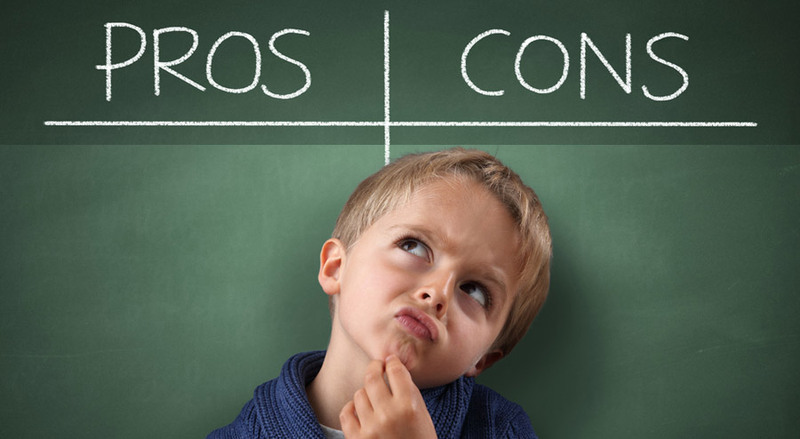 There are pros and cons to all types of braces, but they also can impact the cost of ceramic braces. In this next section, we’re going to talk about the pros and cons of ceramic braces to help you determine if they are worth the cost. 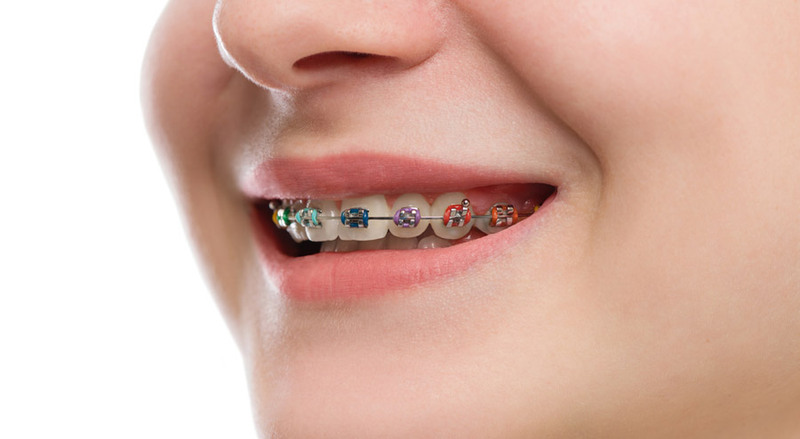 It has been found by some orthodontists that ceramic braces don’t irritate the gums as much as metal braces. This is because the material that ceramic braces are made from is often less sharp then metal braces. But it all depends on the pain tolerance and opinion of the patient. One of the biggest reasons that most patients will choose to go with ceramic braces is because they are designed to blend in with the color of your teeth. The brackets are colored to appear tooth colored or even transparent, and the wire that is then attached to the brackets can be transparent or tooth-colored as well. If ceramic braces are cared for and not abused, ceramic braces can be incredibly strong and durable. They don’t often chip or break unless they are abused. This is very unlike traditional braces because the metal can be broken even if they are cared for. Take a look here to find tips for taking care of your ceramic braces. Just like traditional metal braces, ceramic braces use elastic bands to hold the wire in place. While the elastics usually come in a multitude of colors, with ceramic braces they usually only come in clear or white. This means that ceramic braces aren’t as different from traditional braces, so you’re only paying for the transparency option. As we’ve mentioned multiple times in this article, ceramic braces cost a lot more than traditional braces. Again, this is because of the material used to make the brackets,and they do tend to be a lot larger than normal brackets. Ceramic braces aren’t designed to work well for extensive treatment plans. This means that if you have incredibly crooked or an extreme overbite, your orthodontist will not suggest ceramic braces for you. This makes it so that it’s not an option for everyone like traditional braces are. Since ceramic braces are pretty much white, they do stain incredibly easily. They can be stained just by eating highly pigmented foods, such as berries, tomato sauce, and similar food. Drinking tea, coffee, or even red wine can also cause severe stains on the ceramic brackets. Finally, if you smoke, you should be warned that cigarettes will also cause the brackets to stain. Ceramic braces are a good investment for people who only require simple realignment of their teeth and don’t want to have to deal with the visibility as traditional braces offer. However, they are rather expensive. This is especially true when you consider that the only reason they are different from metal braces is that they are designed to blend in with your teeth. If you are considering ceramic braces over the other types of braces available to you. This article only gives a broad overview of the cost of ceramic braces, but you need to keep in mind that in order to get the best cost estimate is to go straight to your orthodontist. You just might find that the extra cost for braces that blend in with your teeth is worth it in the long run – it’s all up to you and what you want.